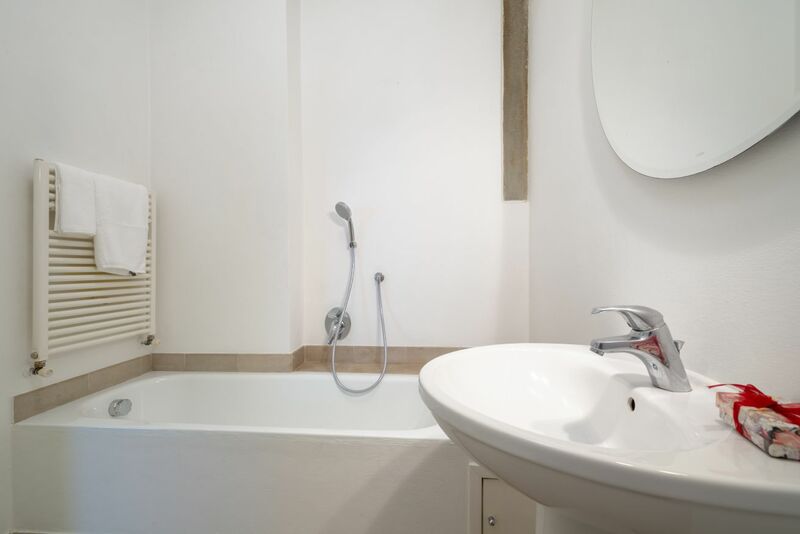 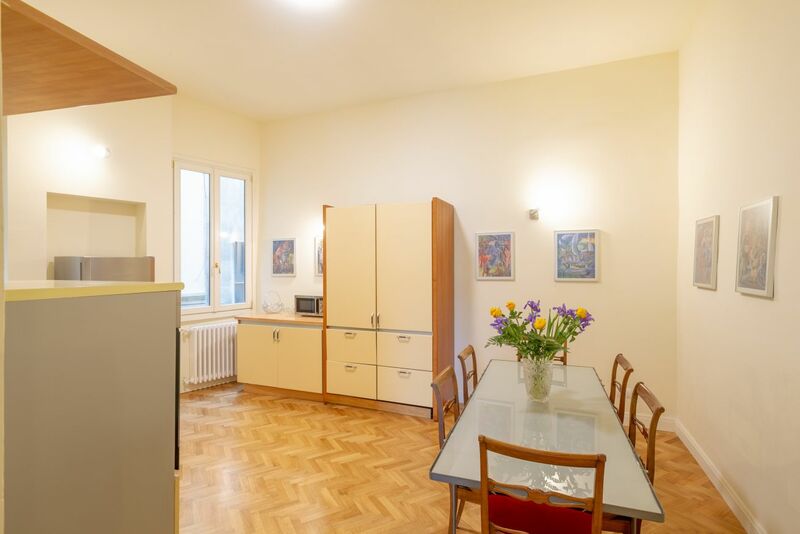 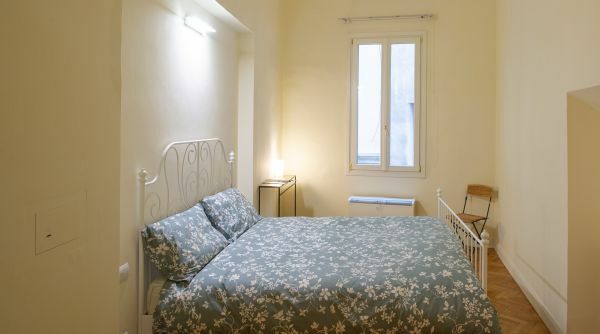 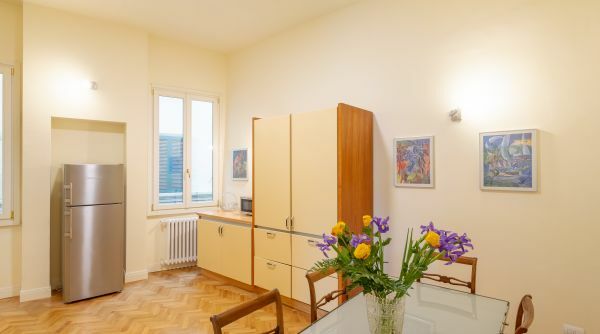 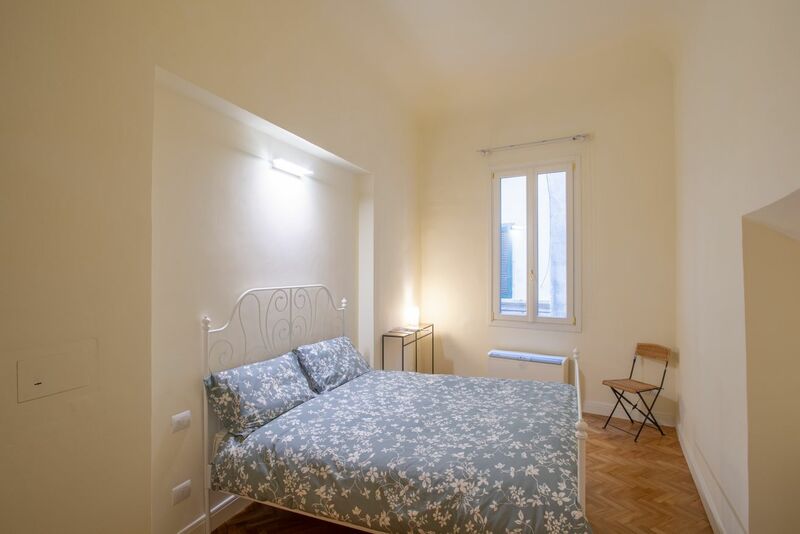 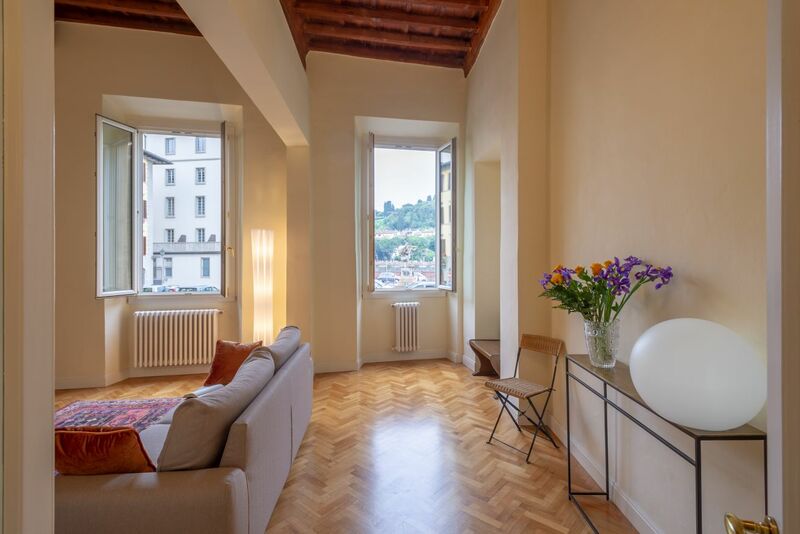 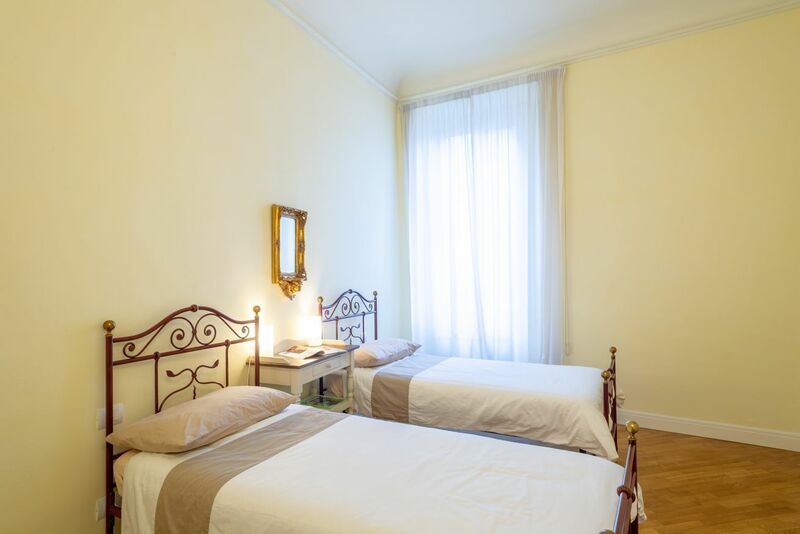 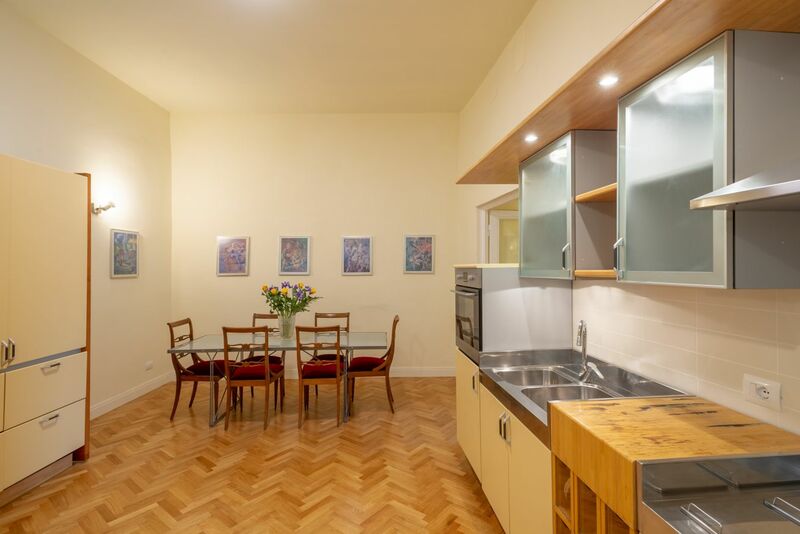 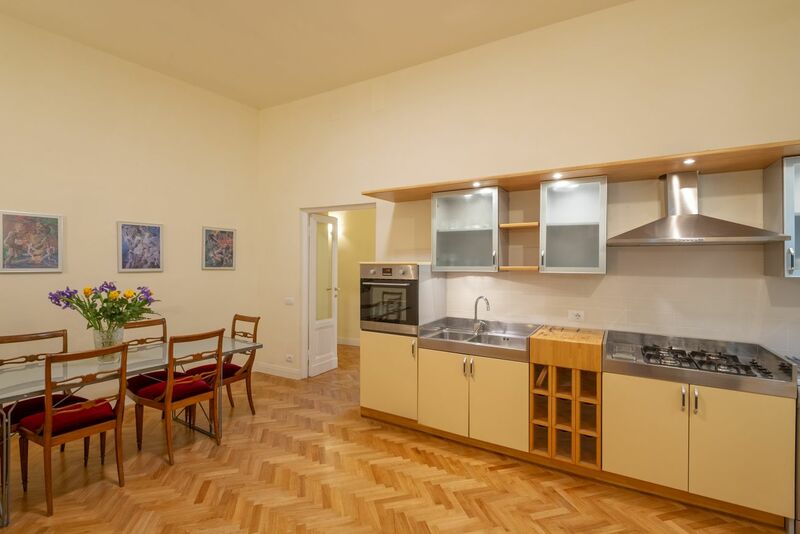 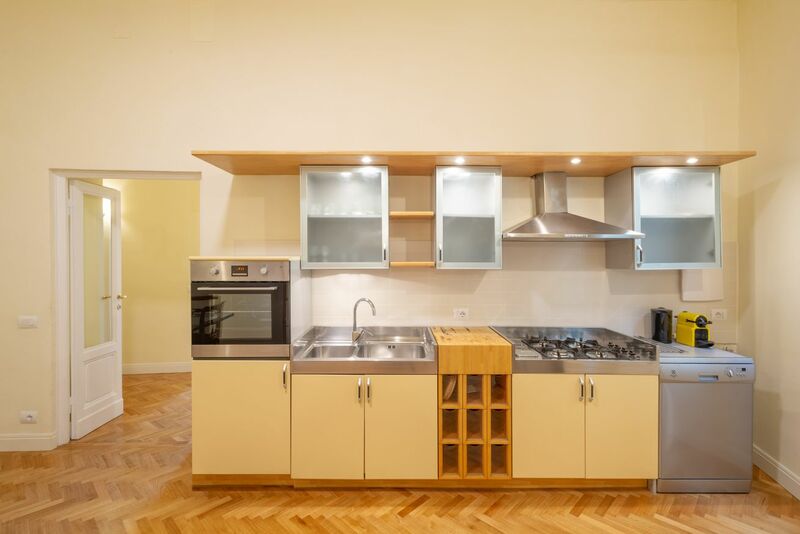 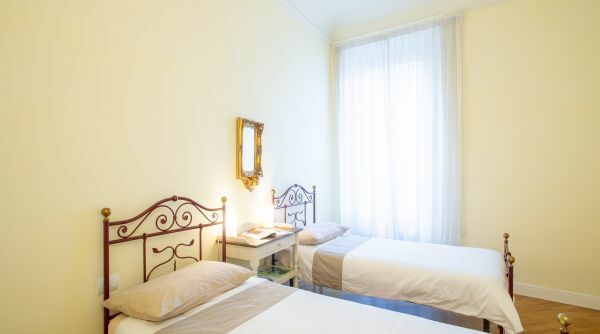 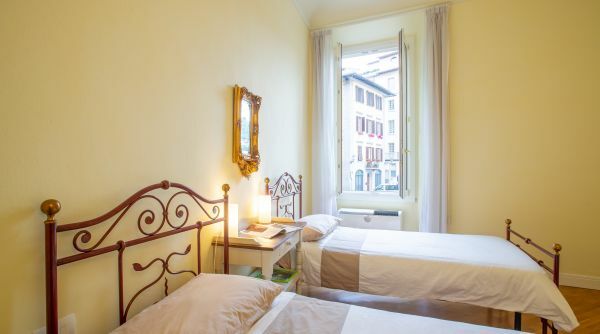 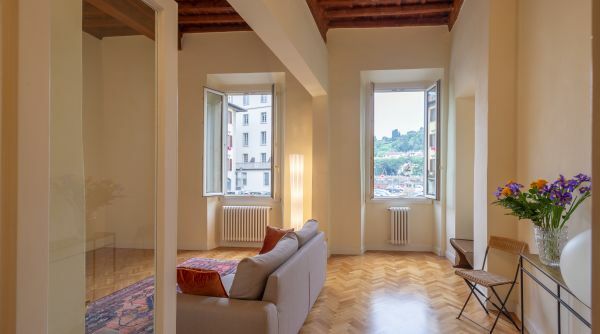 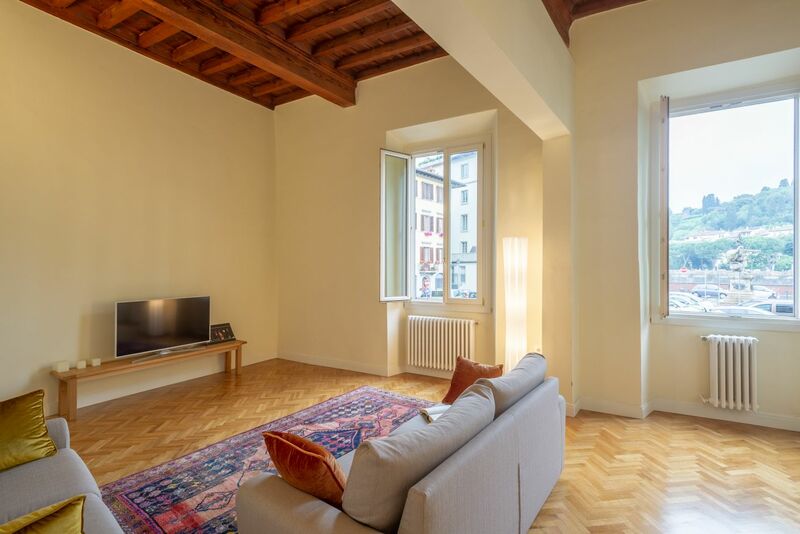 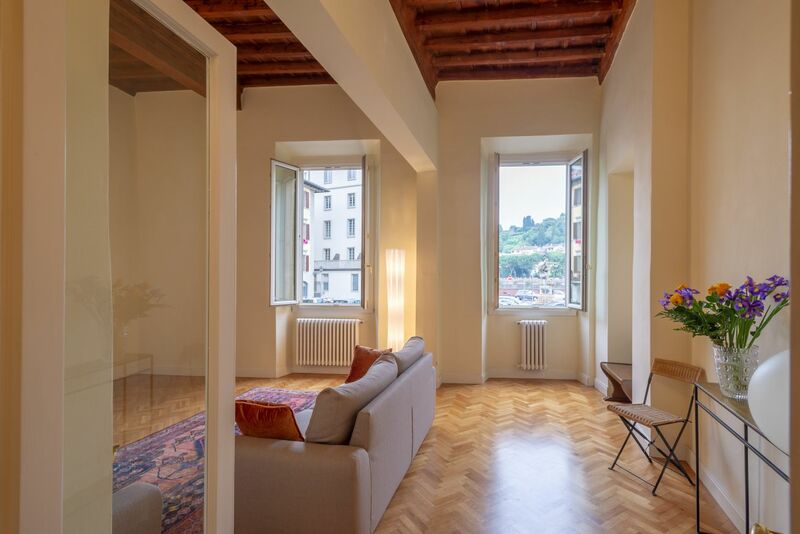 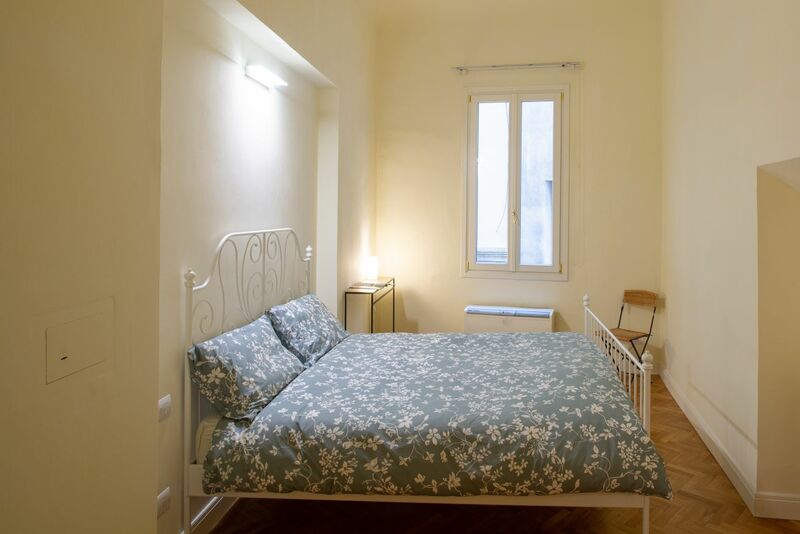 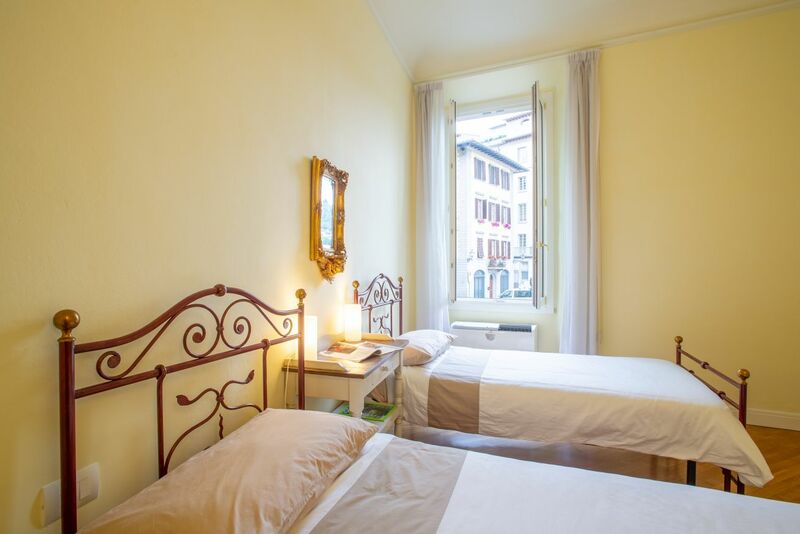 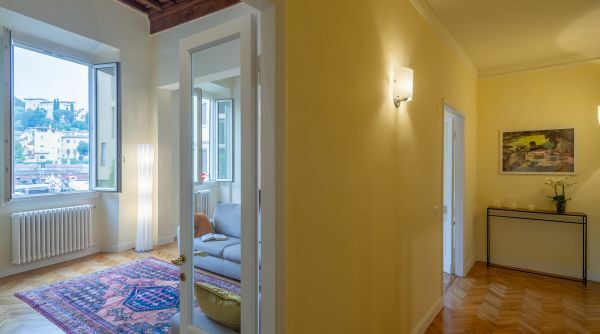 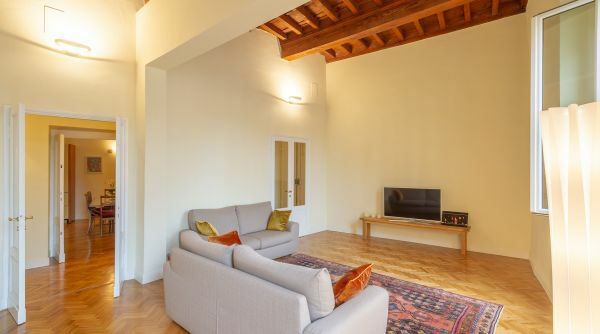 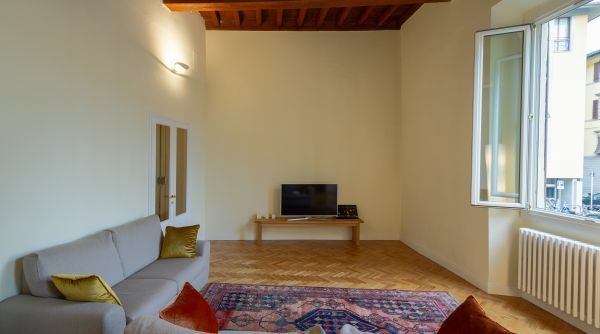 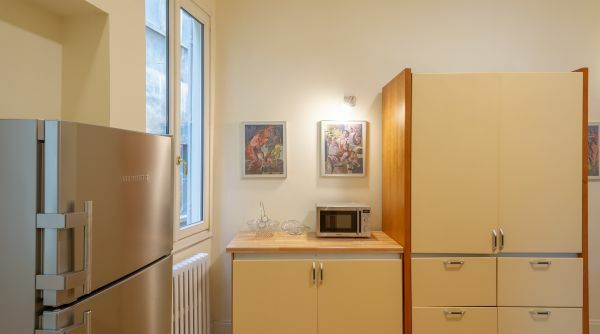 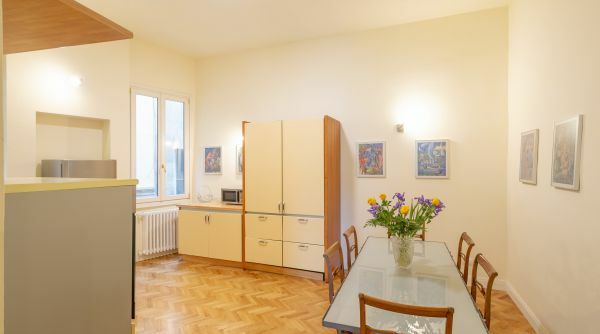 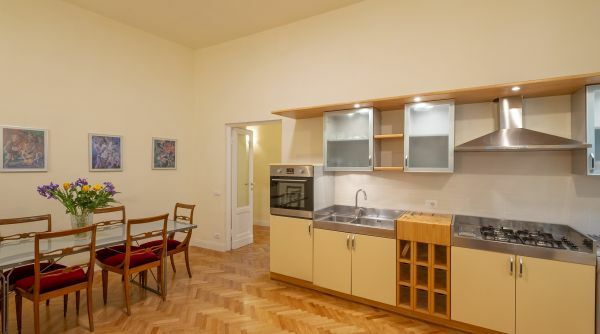 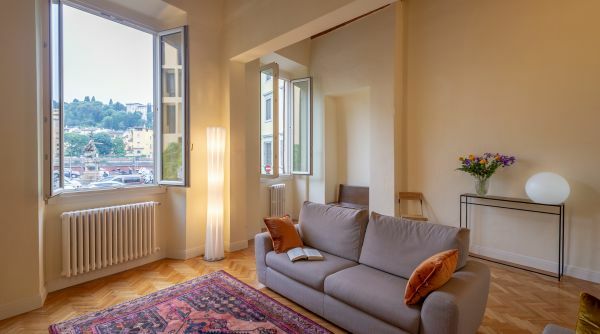 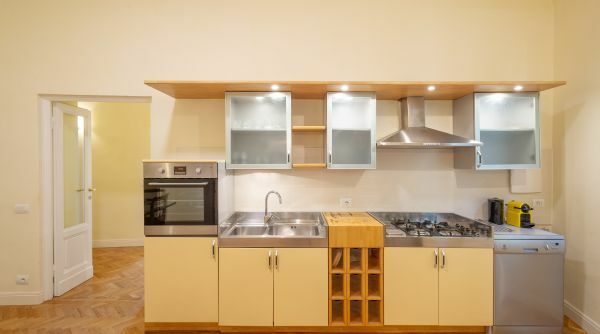 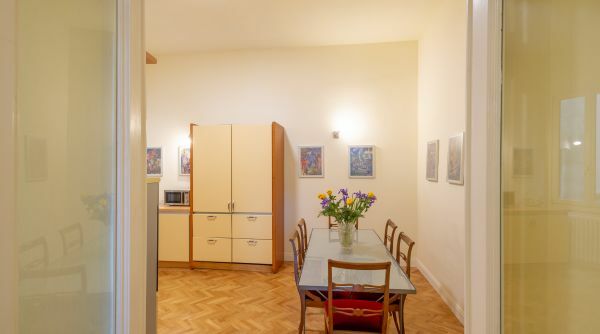 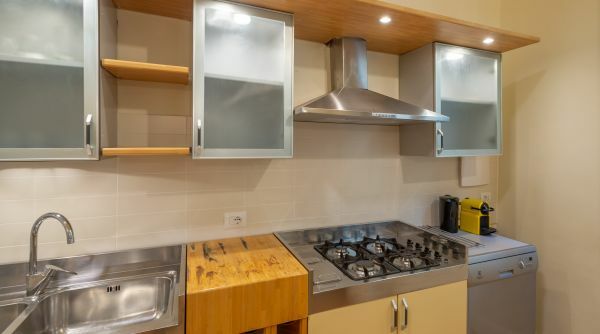 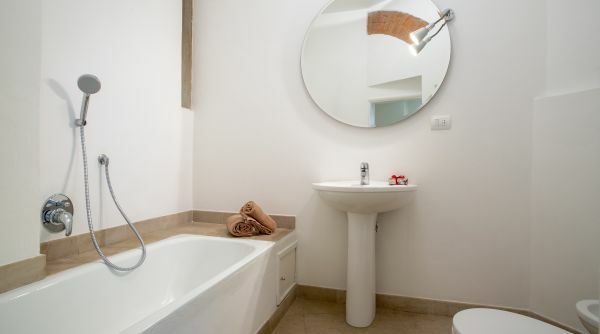 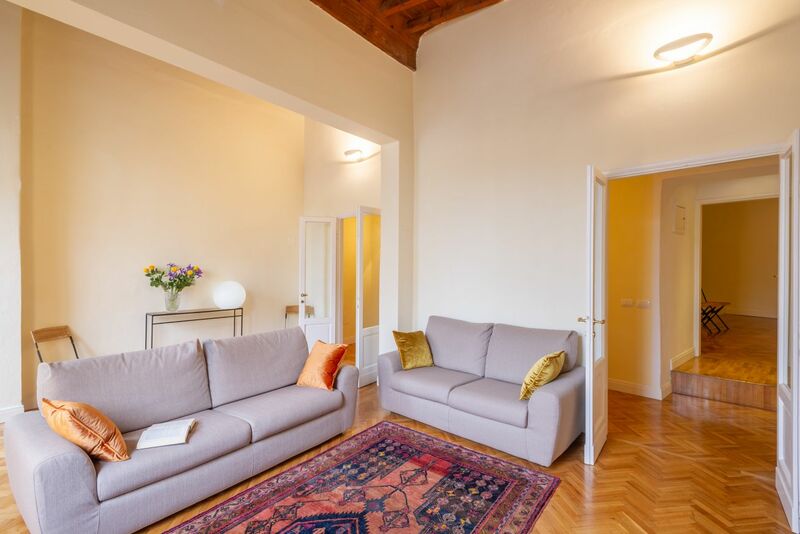 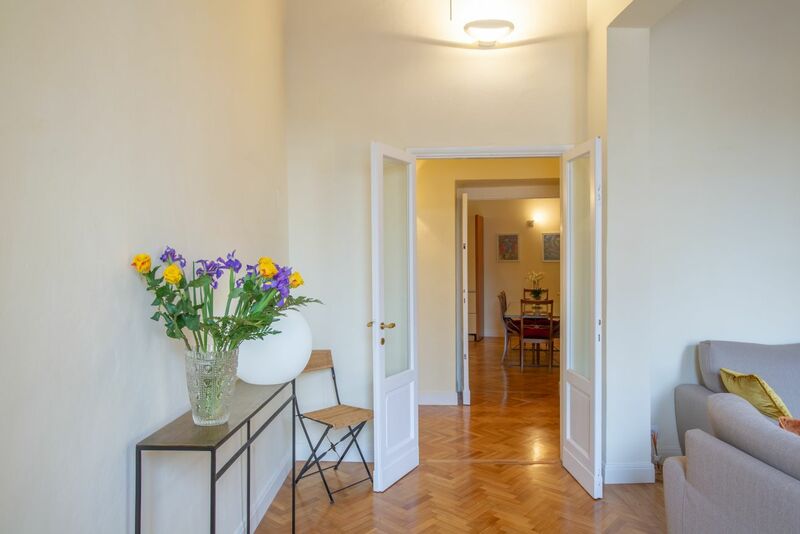 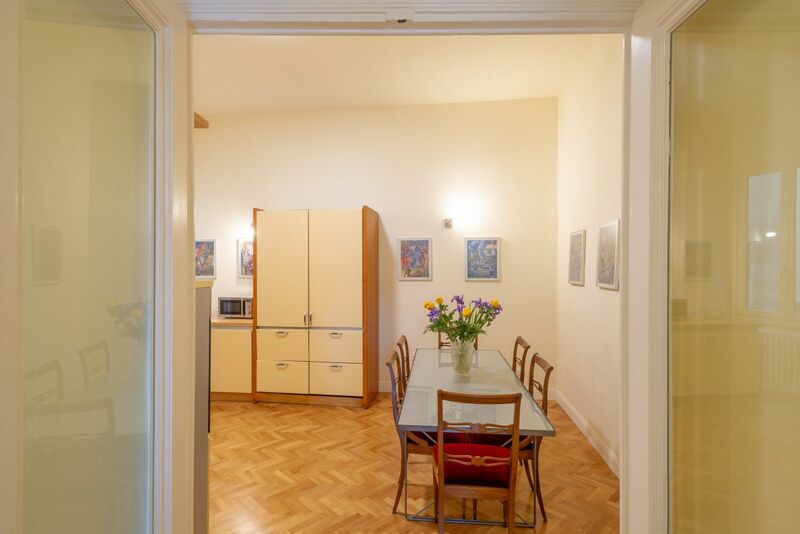 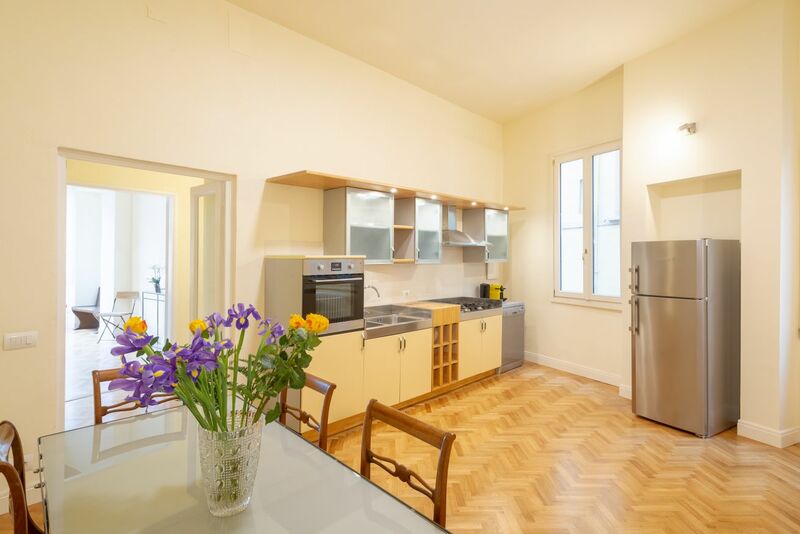 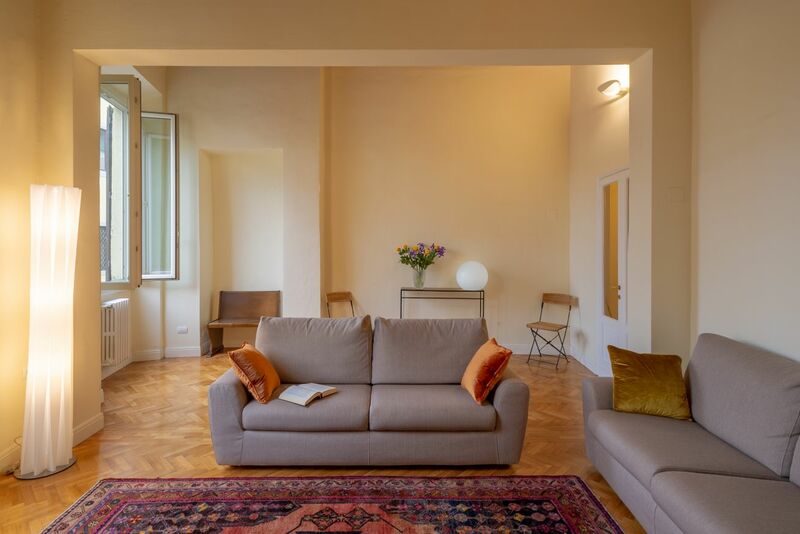 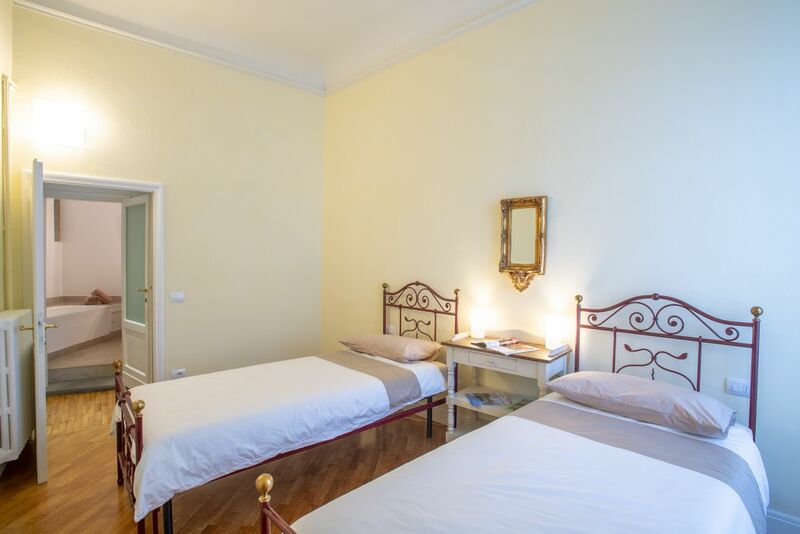 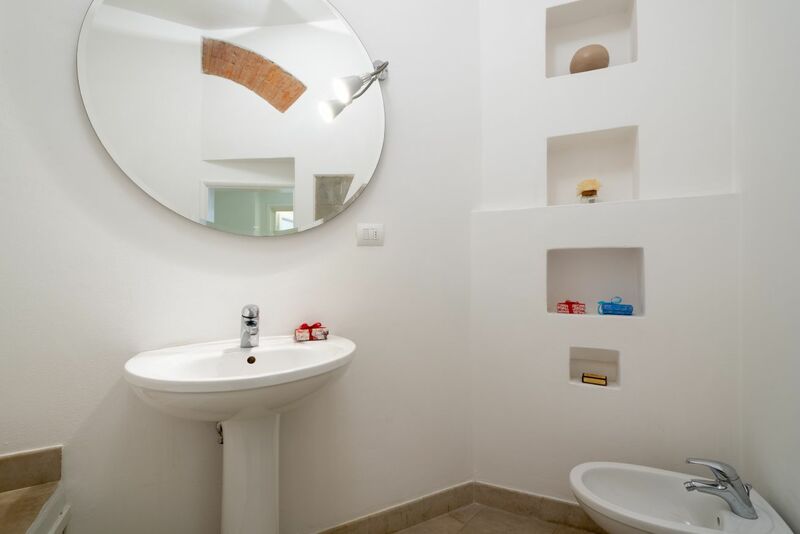 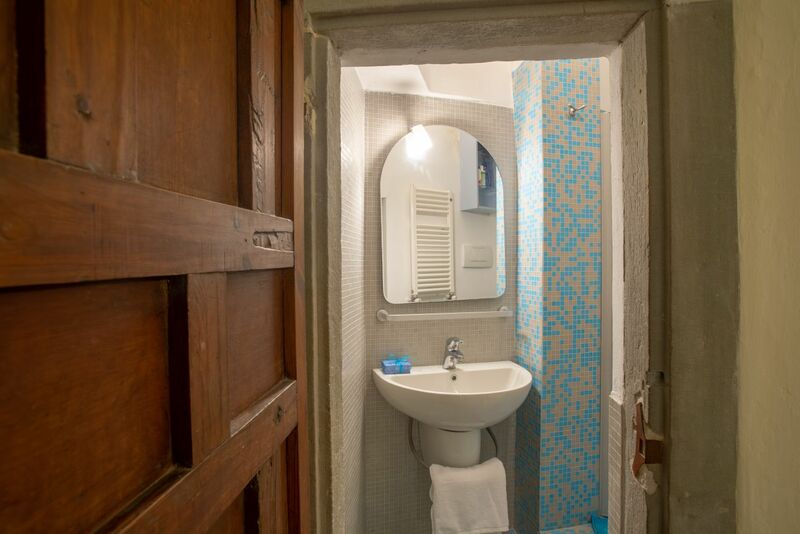 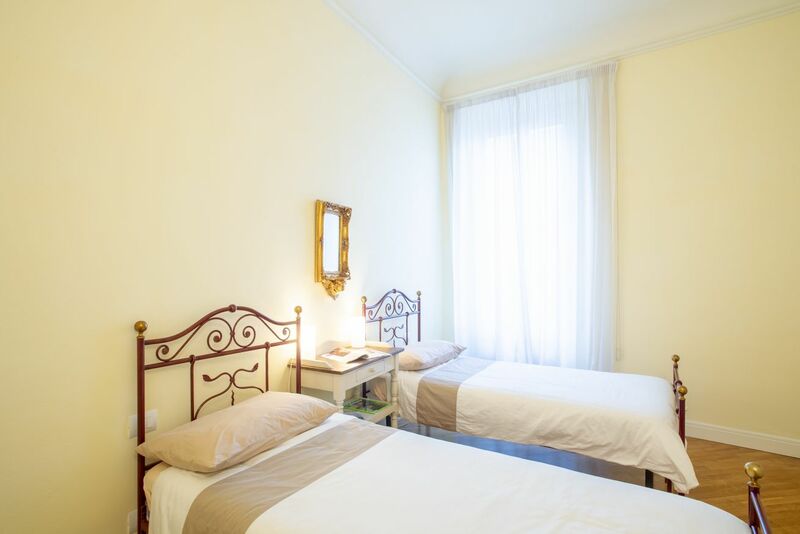 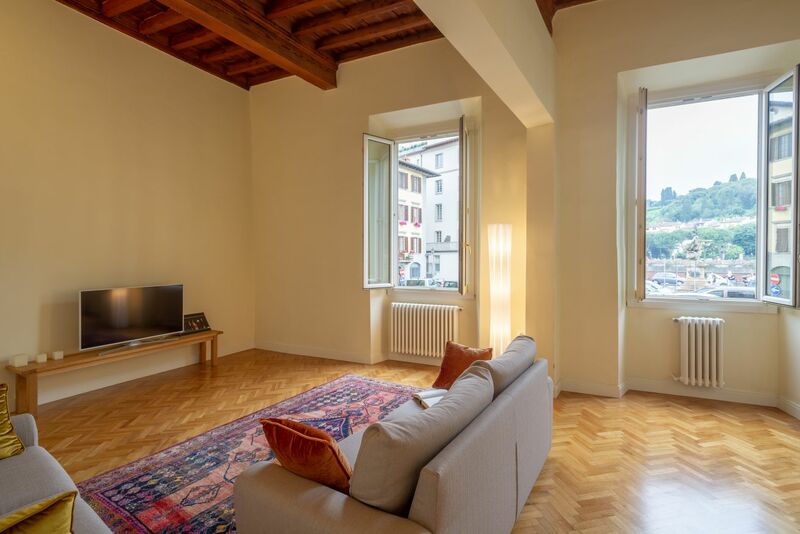 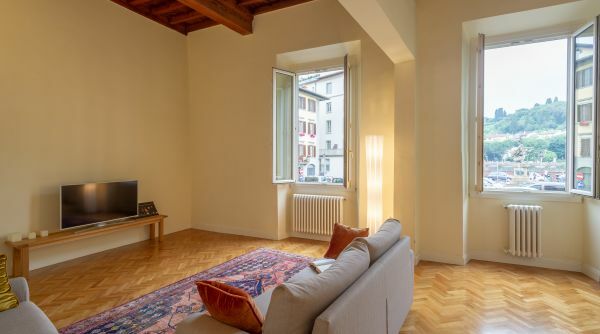 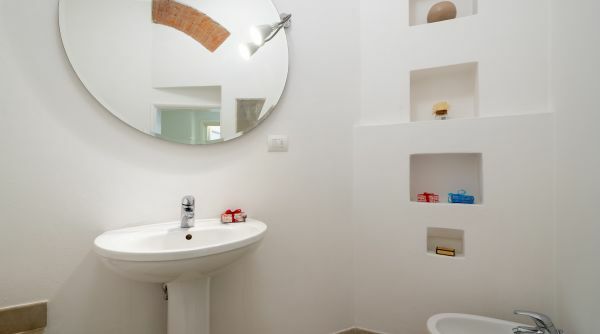 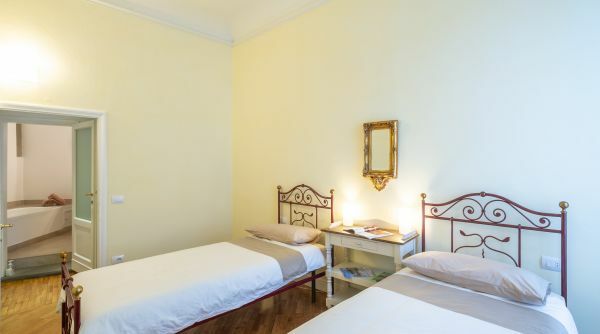 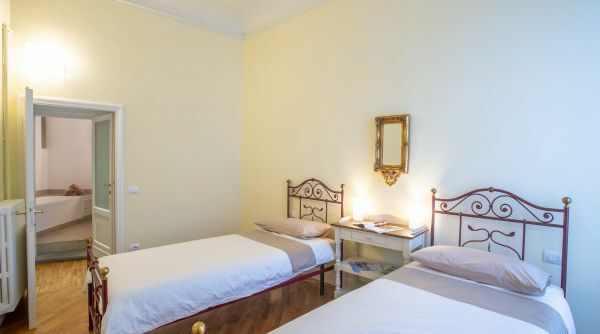 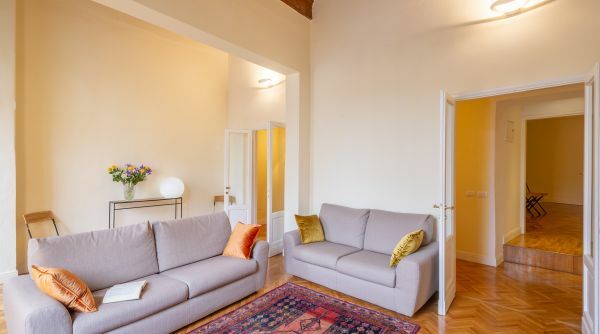 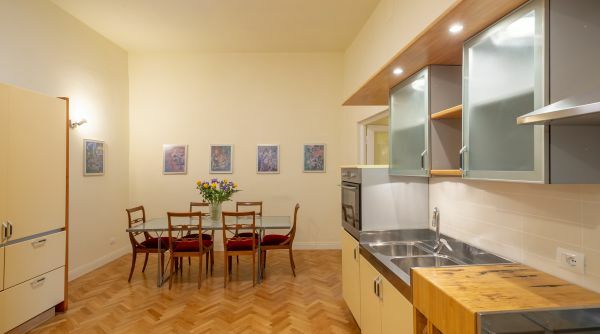 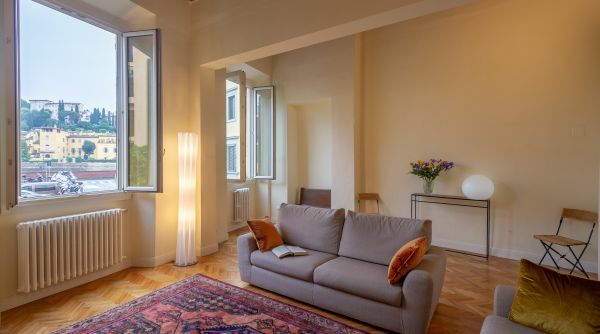 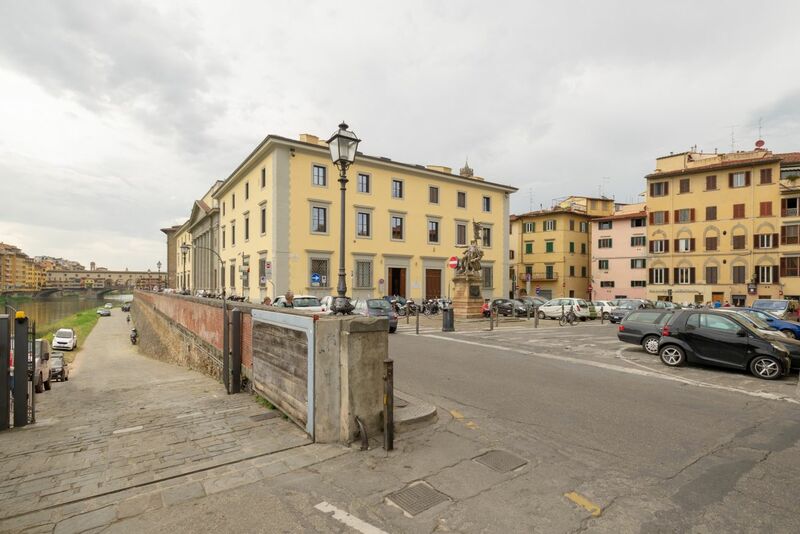 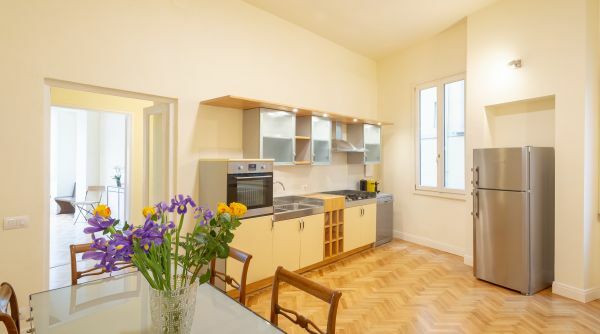 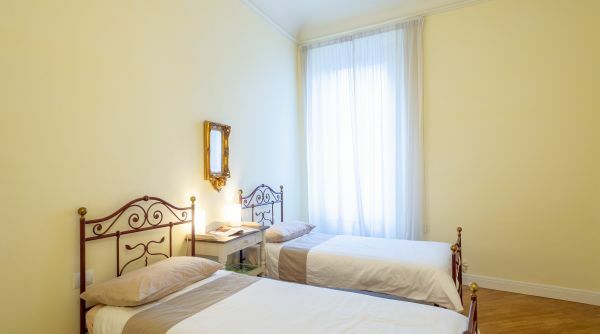 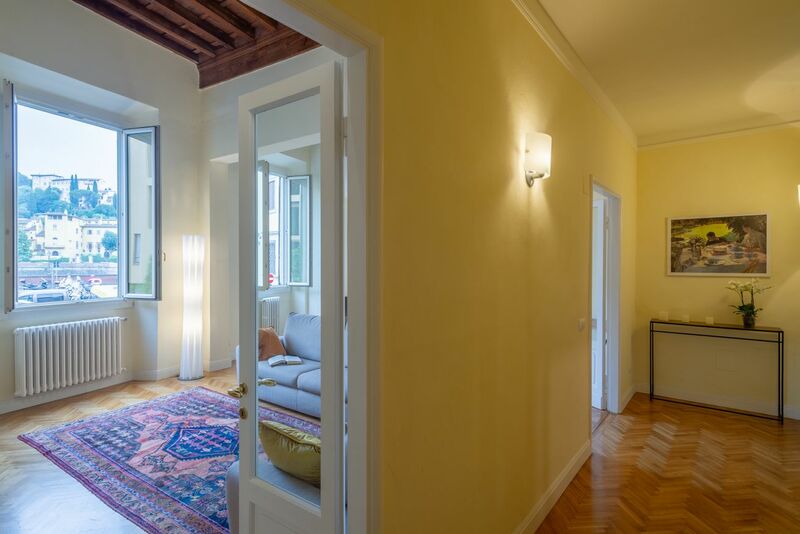 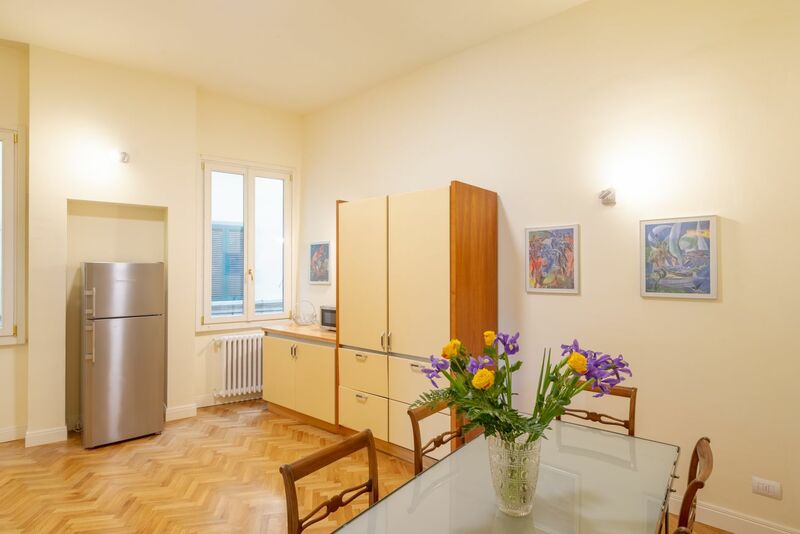 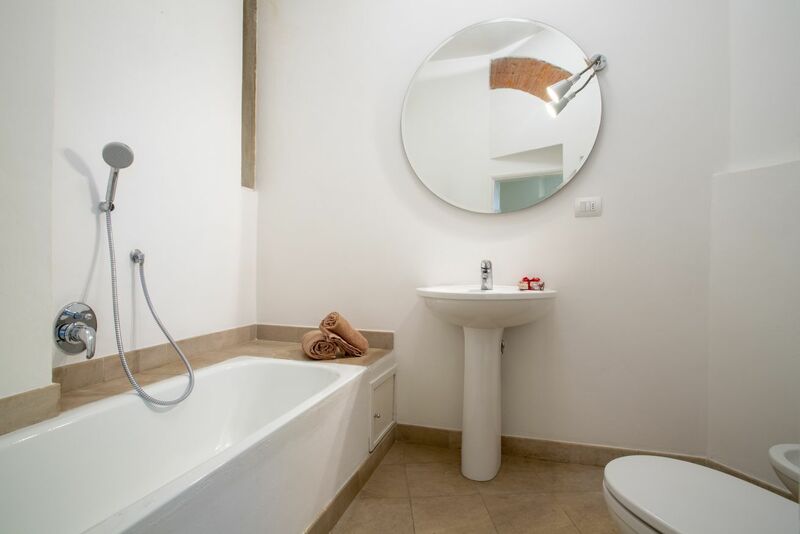 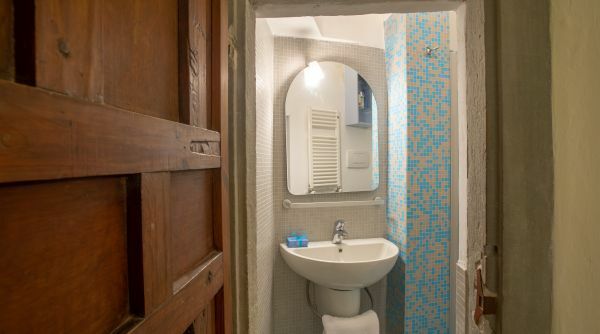 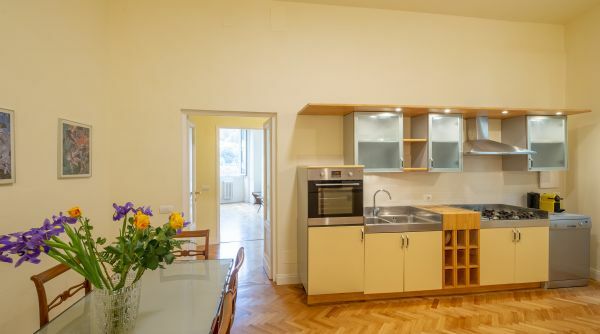 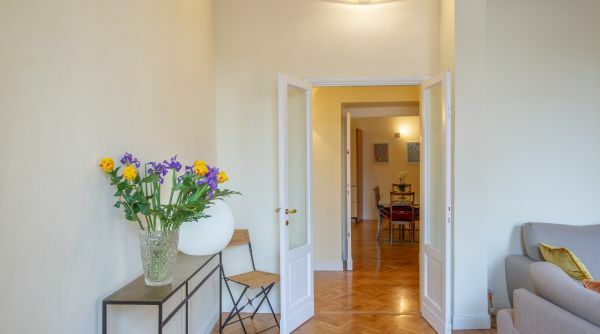 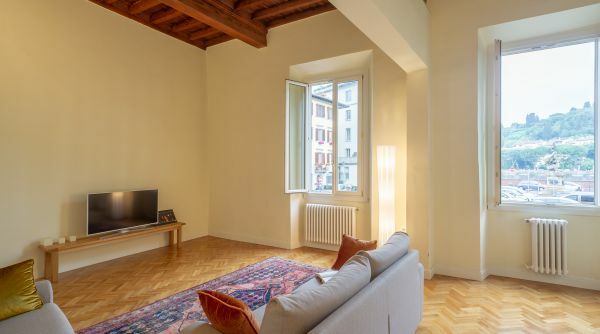 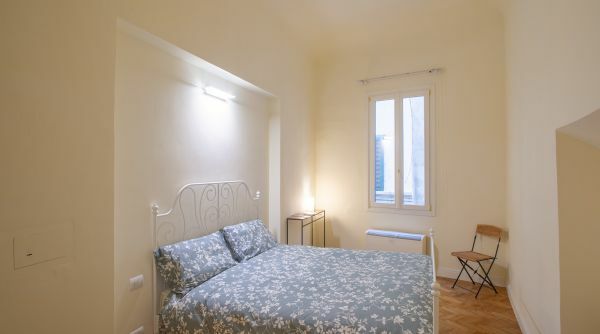 This apartment is located on a 1st floor EU (2nd US) of a typical Florentine building. 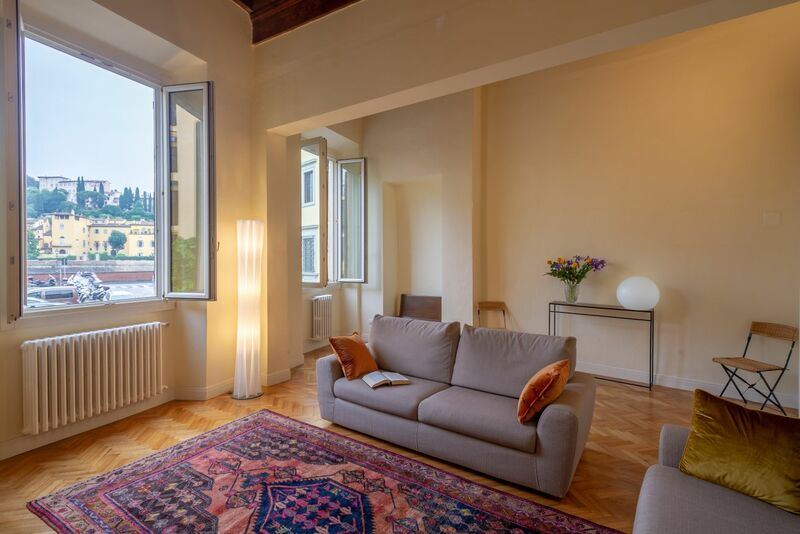 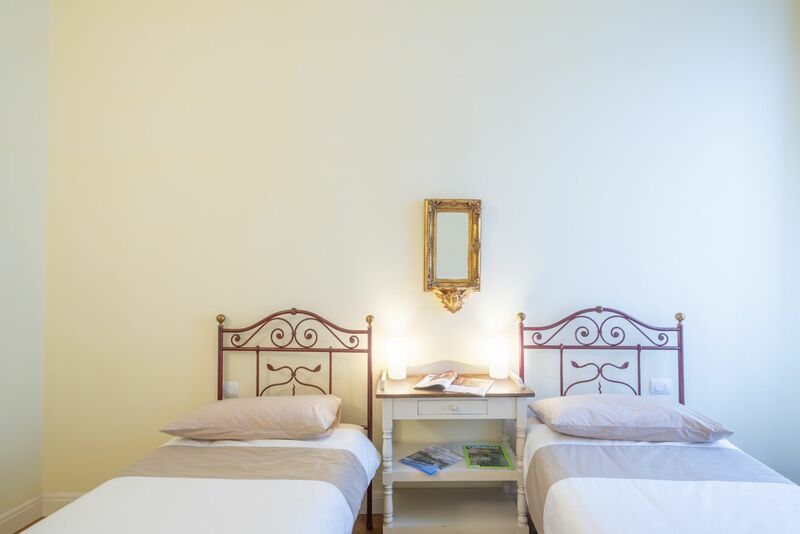 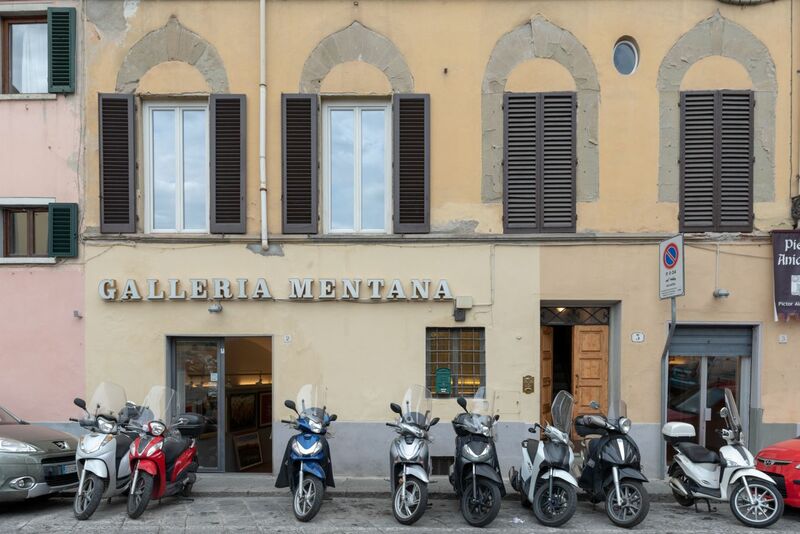 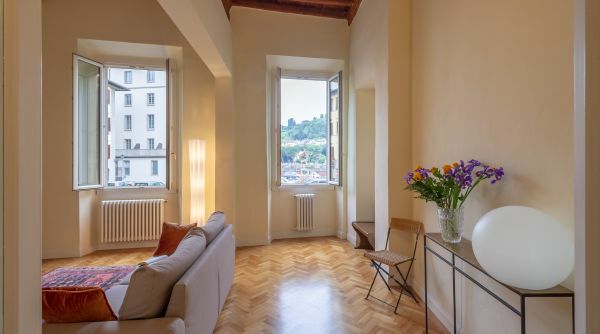 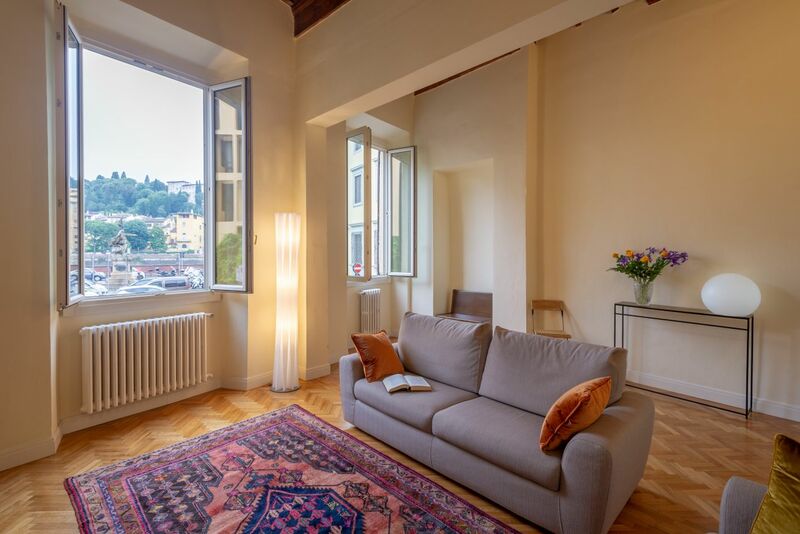 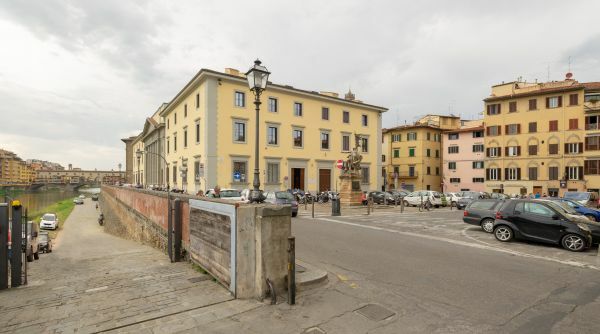 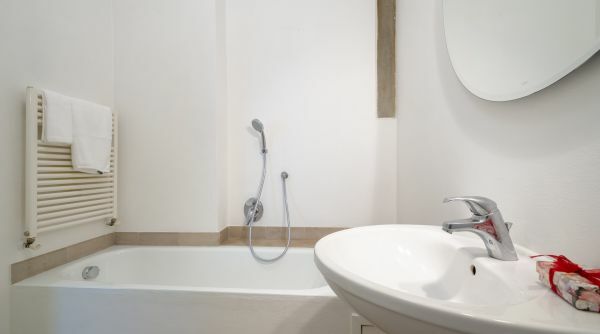 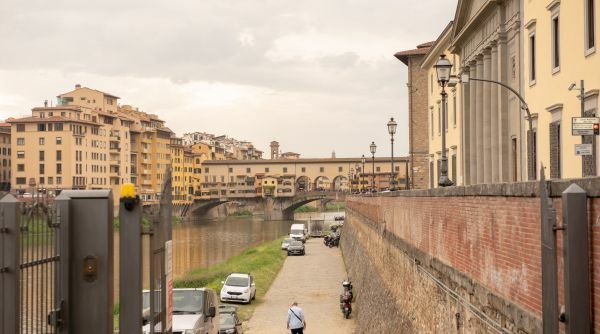 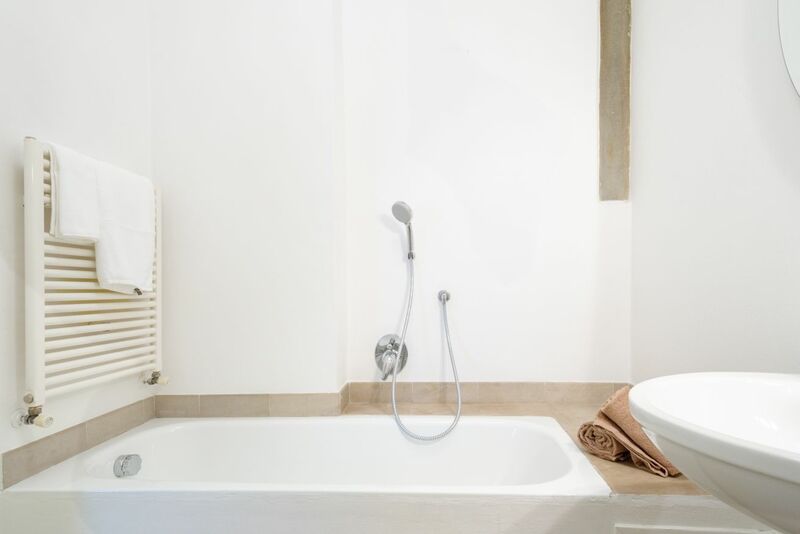 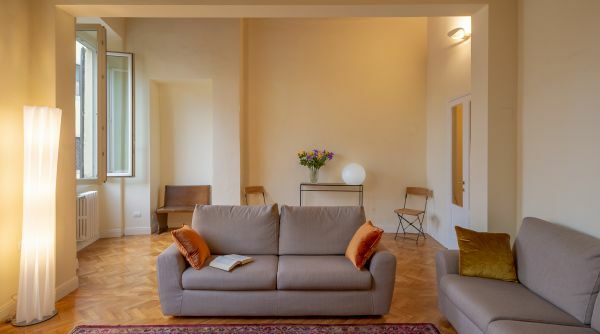 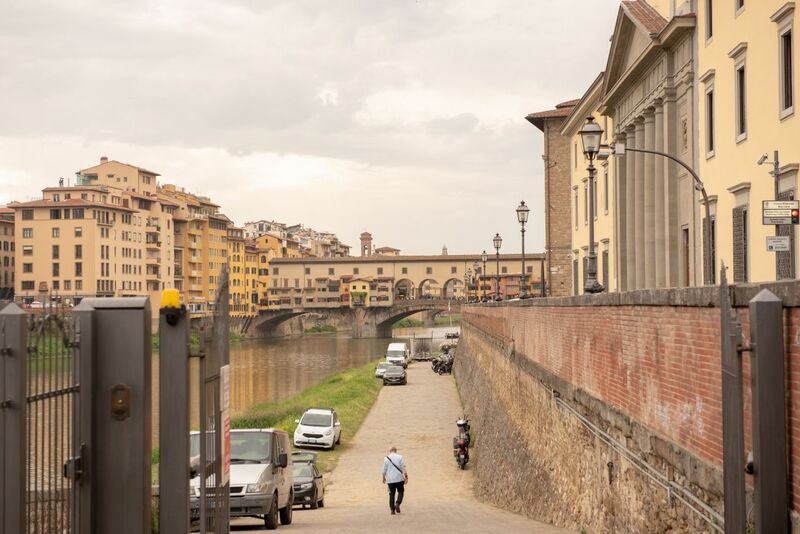 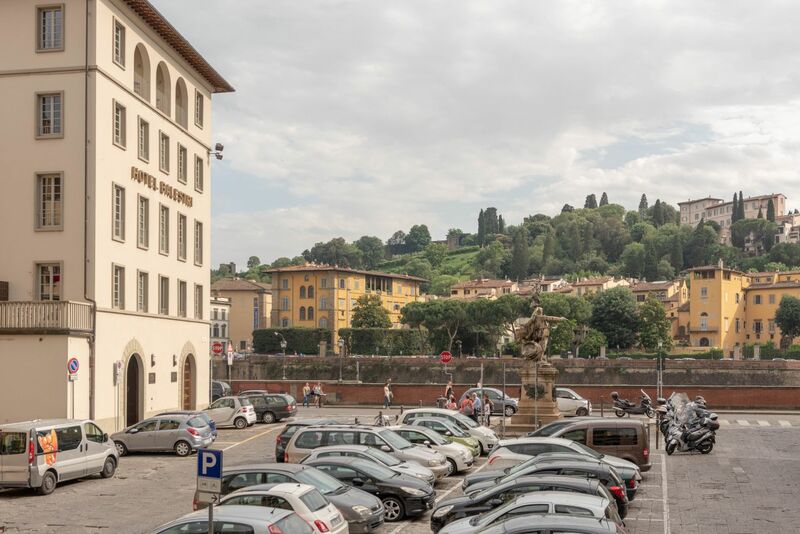 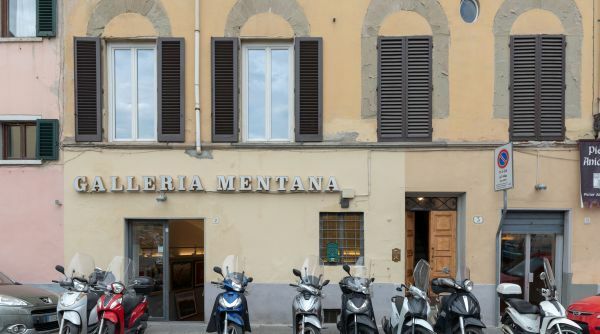 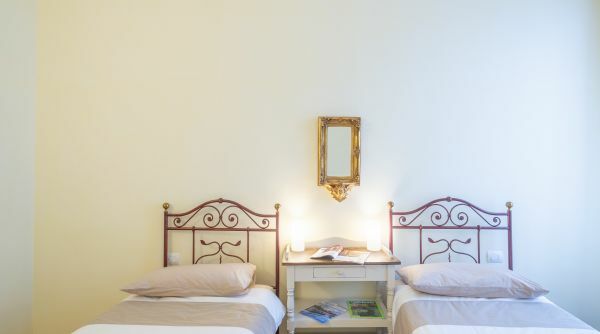 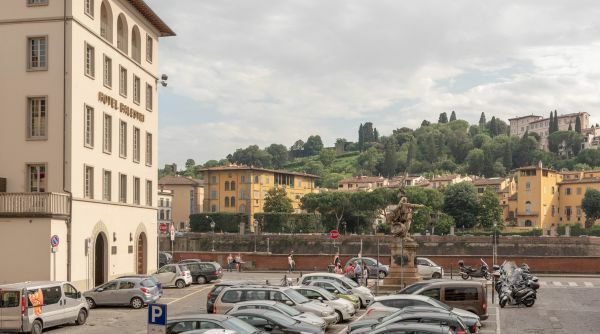 Situated on Piazza Mentana in front of the Arno River in the heart of the city center. 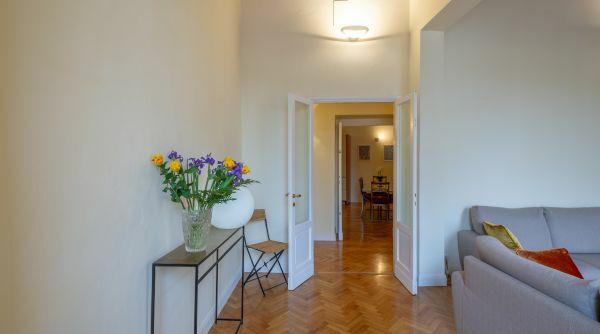 At the entrance of the apartment, you will find a wide corridor that leads on the right to the living room and to left to the living kitchen. 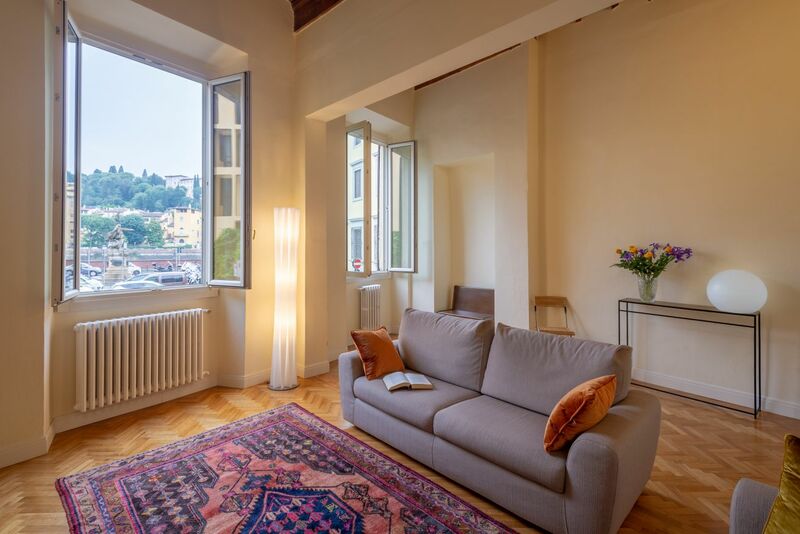 The living room is very bright given the light coming though the two big windows facing the river, which provides fresh air and a stunning, view. 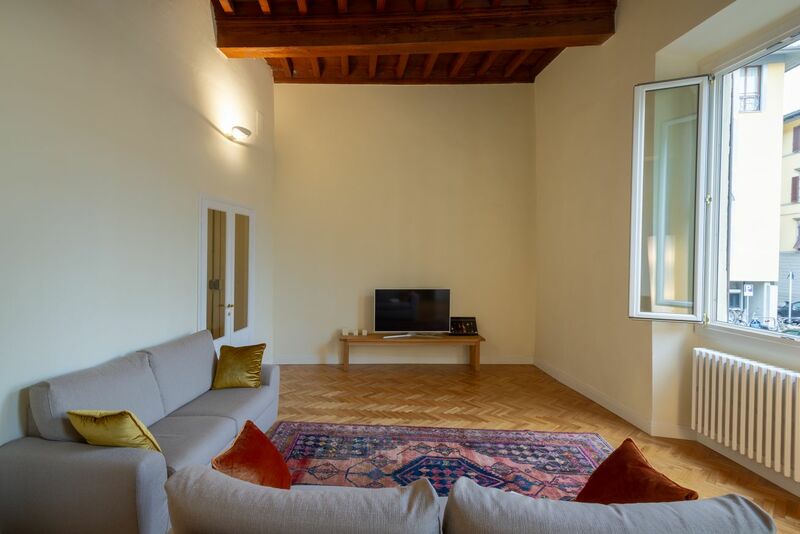 The room is furnished with two sofas and a TV unit and as a special feature the characteristic traditional Tuscan ceiling. 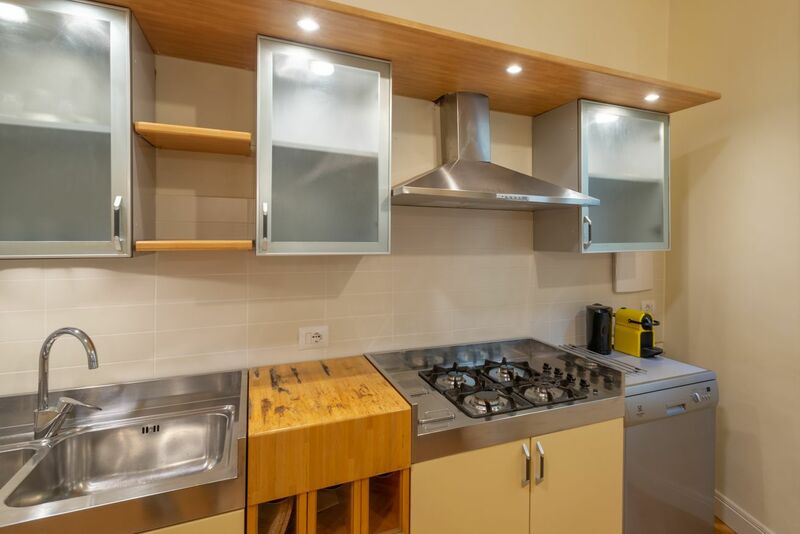 The kitchen on left is a wide space fully equipped with oven, dishwasher, fridge and all the utensils you need to cook your delicious meals. 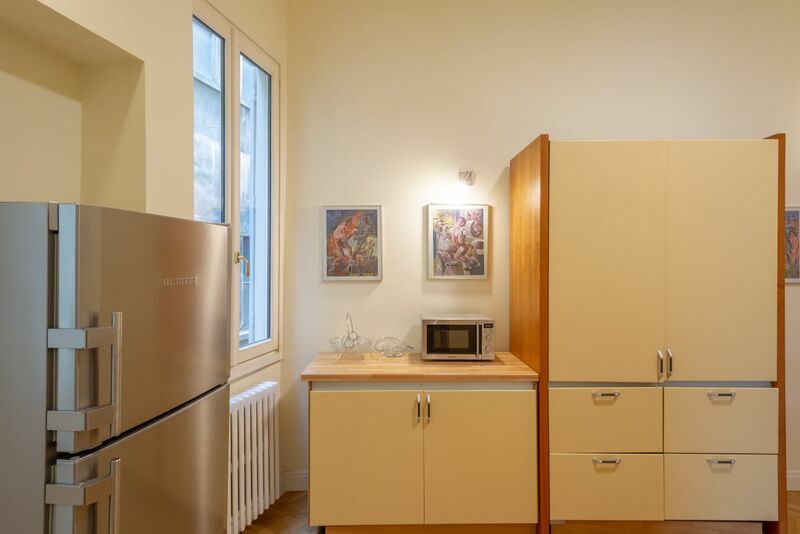 In the kitchen area, you will find a large table, which seats six guests comfortably. 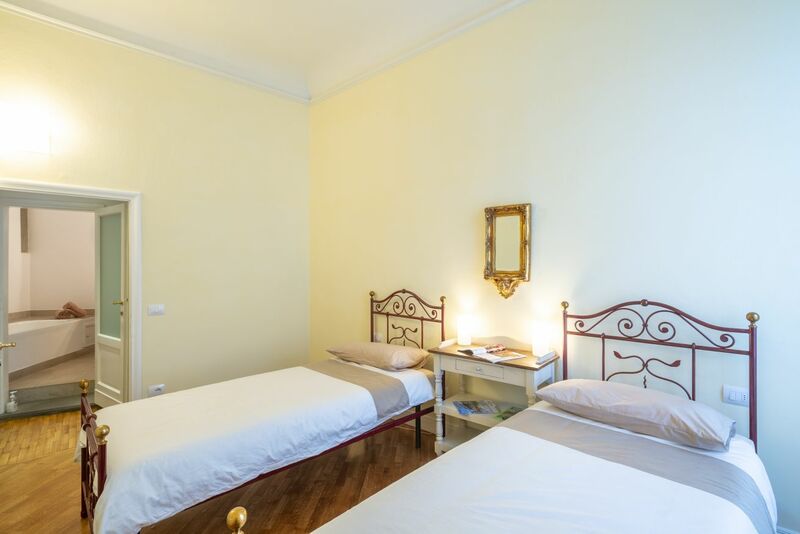 Down the hallway, you will find a spacious bedroom with two single beds illuminated by a wide window with an AC unit. 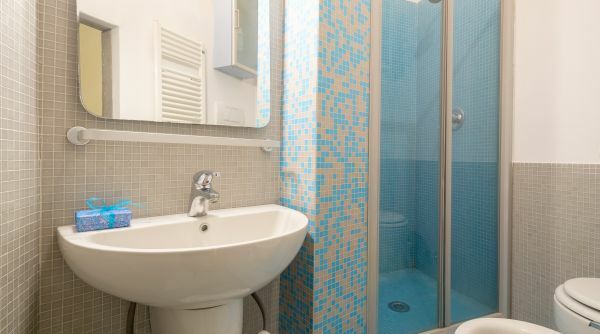 In front of it, there is a bathroom with a bathtub. 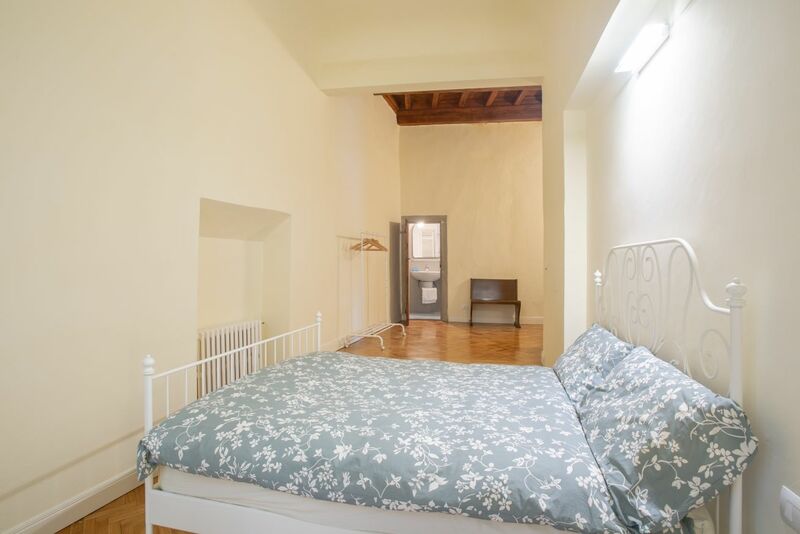 The master bedroom, also fitted with AC unit, is a wide space equipped with a double bed and an ensuite bathroom with a shower. 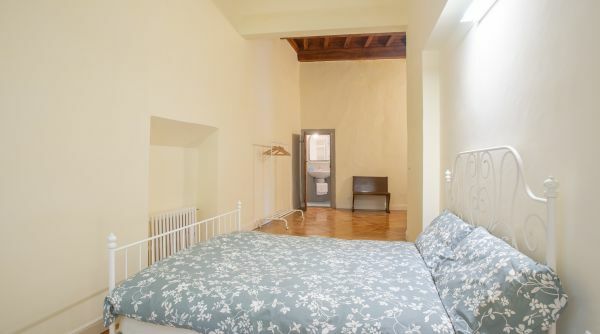 This bedroom also features traditional Tuscan ceilings adding a special touch to the space. 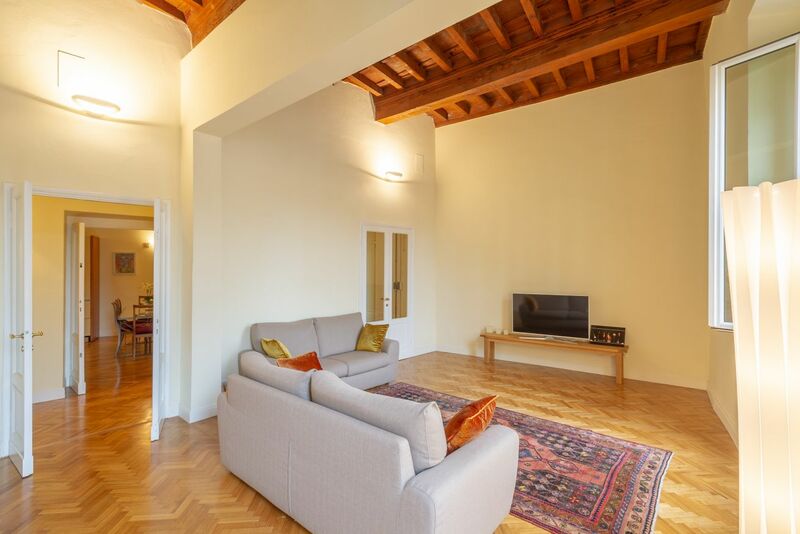 The entire property has high ceilings, with wooden beams exposed in some areas as per the traditional Tuscan style. 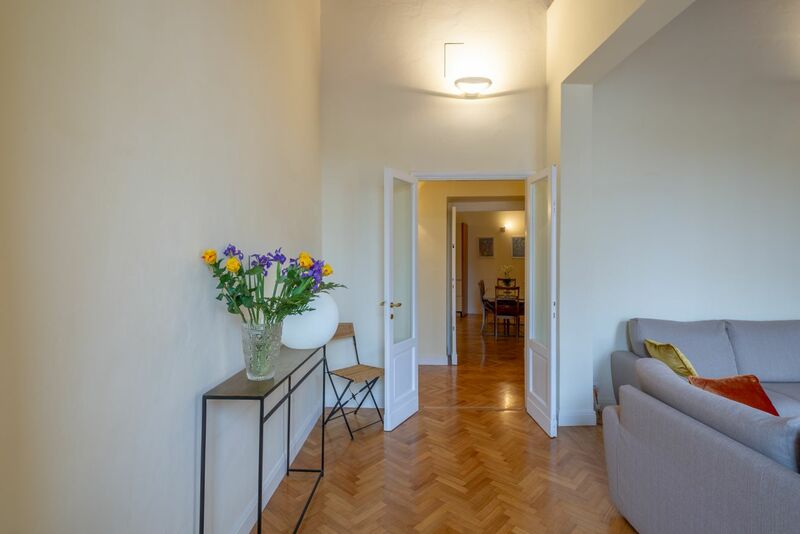 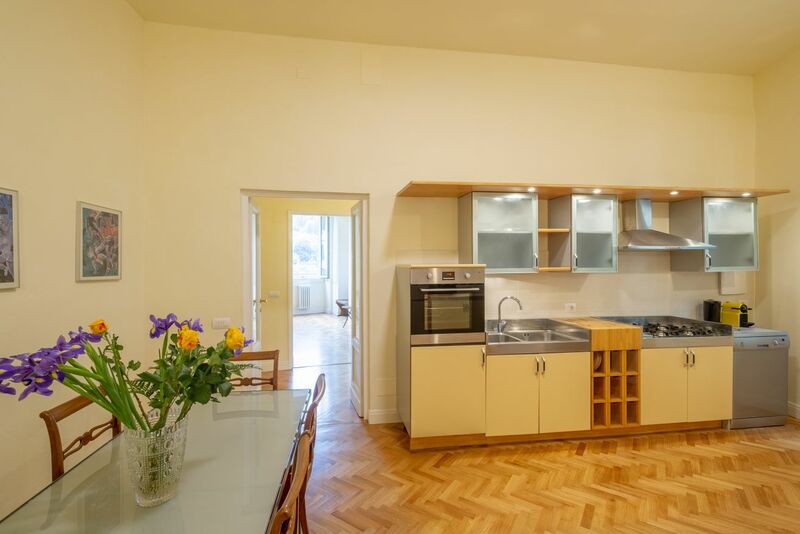 The whole floor of the apartment is light toned parquet adding more brightness to each space. 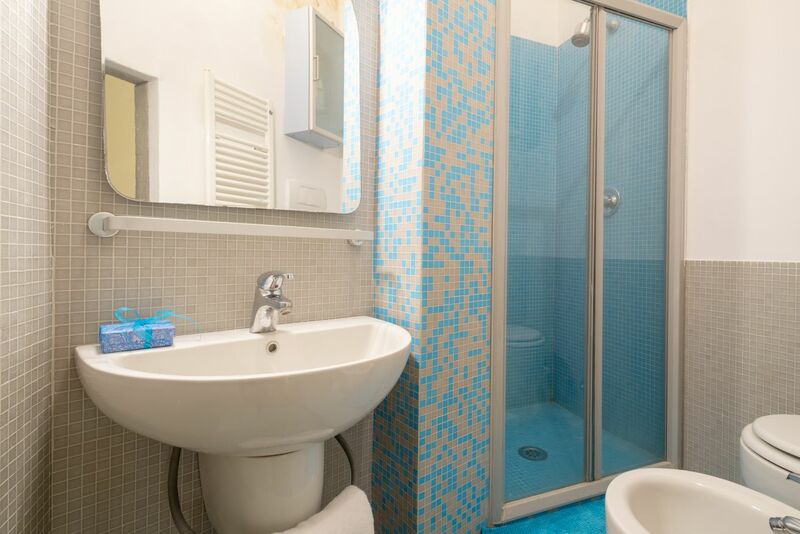 Both bedrooms have AC units and a bathtub, and shower in both bathrooms.